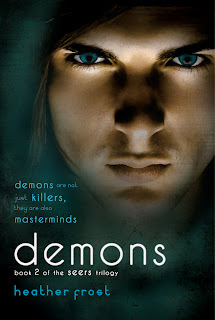 Today I am happy to welcome Heather Frost to the blog today as part of her Demons Blog Tour. We've got a fun interview below and don't forget to enter to win an ecopy of Demons afterwards! *Where did you get the inspiration for The Seers Trilogy? When my baby brother passed away in 2008, I found myself turning over different ideas of how I could represent my beliefs about the afterlife in a young adult story. The actual idea of Guardians, Seers, and Demons didn’t fall into place until 2010, but once I came up with the concept of Guardians, everything else clicked into place—the basic plot, the characters—they all fell into my head one lazy summer afternoon. *I am sorry for your loss, but I'm happy that you found a way to turn it around into something amazing! Could you tell us a little more about your new release? 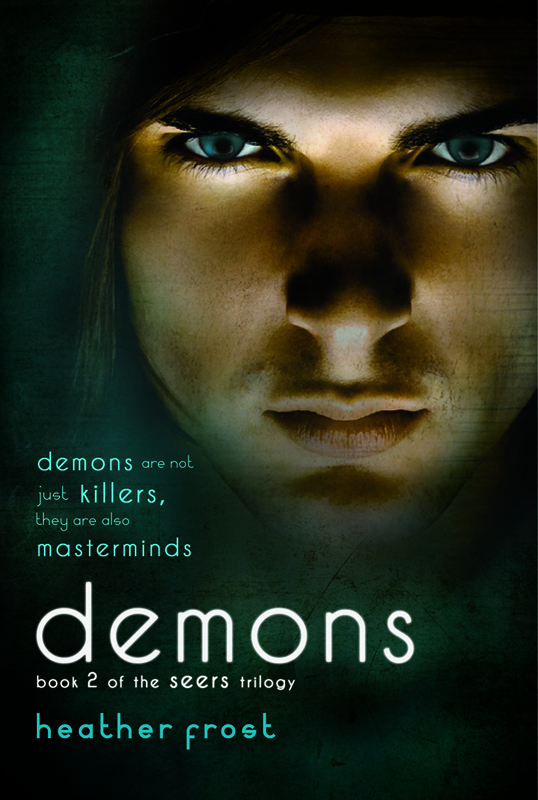 “Demons” is the second book in the Seers Trilogy, and it really takes Kate’s story to the next level. The romance is richer, the plot-twists are sharper, the stakes are higher, and the tension and suspense are both upped. Book one introduced readers to this supernatural world, and Book two delves into it. When Kate’s Guardian, Patrick, gets a strange and terrifying illness, Kate will have to make a choice—let him die, or seek help from his enemies. But serious choices carry serious consequences, as she’s about to learn the hard way . . .
*Sounds like a roller coaster ride! So, any hints you can give us for what’s in store next? Book three, “Guardians”, comes out in July. Later in this blog tour I’ll be revealing the prologue, so that’s exciting! Really, all I can say about “Guardians” is that Kate has a lot to go through before the end. I feel confident the finale won’t disappoint readers. *If your book were to be made into a movie, who would be your top picks for the cast? Sean Biggerstaff as Patrick. I could watch him forever! I don’t have strong picks for anyone else, really. I mean, isn’t Biggerstaff the most important? *Very nice choice!! Could you tell us a little about the ups and downs you have experienced in publishing? I’ve had my share of rejection letters, and I still count myself incredibly blessed to have received acceptance from a publisher. As the author, you never stop believing in your story, or your characters—but it’s an amazing thing to have someone else believe in them too. I have my publisher to thank for that, as well as all my devoted readers. *I can imagine that really is an incredible feeling! If you could tell readers one thing about yourself or your books what would that be? I love writing books that help the reader escape reality, because—to me—that’s what the best books do. My stories are always character oriented, and I think that’s something that makes the Seers Trilogy stand out in the paranormal genre. There’s so much to read out there, so it always touches me when fans tell me they consider my characters to be friends. *I prefer character driven stories myself. I have so many character friends, it's insane!! So, fess up, what is the craziest or at least most interesting thing you have ever done? The other day I bought my sister a poster of a UFO sailing over a mountain range, with the bold words I WANT TO BELIEVE emblazoned on the bottom—she bought one for me, and they hang proudly in our respective bedrooms. Yes, my life is THAT exciting. *Hahahaha! Finish this statement: "You'll like the Seers Trilogy if…"
You enjoy Young Adult books that have realistic characters, and deeper themes. You’ve never read a “Guardians Angel” or “Demon” book quite like this. Heather Frost was born in Sandy, Utah, and raised in a small Northern Utah town. She is the second oldest of ten children, and she loves her family very much. 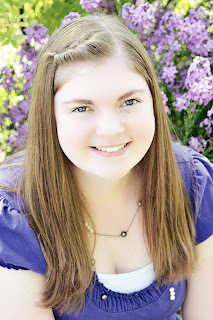 She is currently pursuing her bachelor’s degree in English at Utah State University. Heather has always been an avid reader, and reading and writing are among her favorite things to do. She also enjoys playing the flute, listening to all types of music, and watching a wide variety of movies. Guardians, the final book in the Seers Trilogy, will be released July 2013.